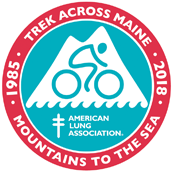 Registration for 2018 Trek Across Maine is closed. The Trek Across Maine is a 3-day, 180 mile cycling event from the mountains of Sunday River to the sea in Belfast. As the largest fundraising event of its kind in the nation for the American Lung Association, the Trek has raised more than $24 million in the past 30+ years. 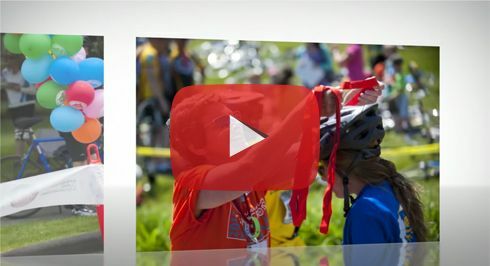 Join nearly 2,000 cyclists and 750 volunteers on this one of a kind journey on Father’s Day Weekend. The Trek Across Maine offers three route options with varying levels of mileage and fundraising. Registration fee is $65 (non-refundable & non-transferable) for each route option. Registration fee does not count toward fundraising minimum. Hotel rooming is currently sold out at Sunday River (Summit Hotel & Jordan Grand Hotel) for Thursday, June 14th. There are a variety of alternative lodging locations and options listed below. Please review these options if you are still looking to making your lodging arrangements. Starting or joining a Trek Team is easy! Teams provide a great source of support and comradery throughout the year as you fundraise and train for the Trek Across Maine. Official Trek Teams consist of 5 members, but can be started with one member and built throughout the year. For more information on starting your own Trek Team or joining an existing team, please contact Gale Auclair.